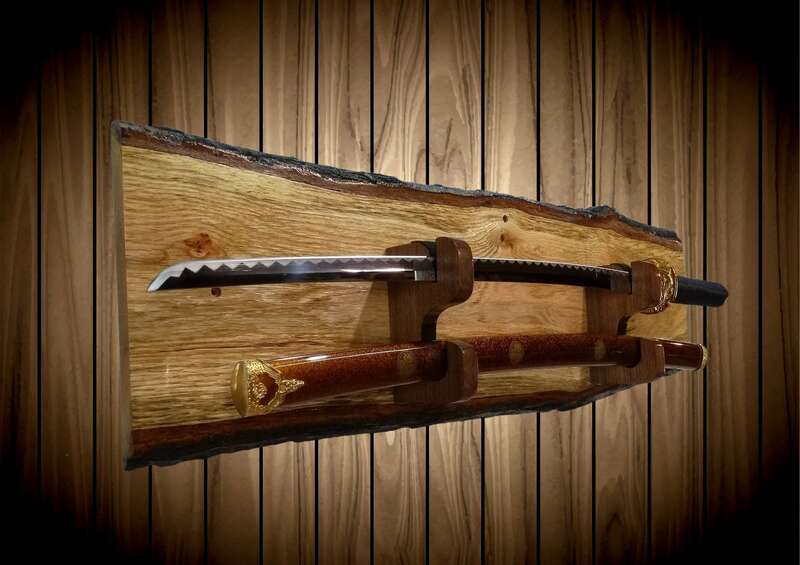 A Beautiful Handmade Rustic Oak Sword Display Rack. 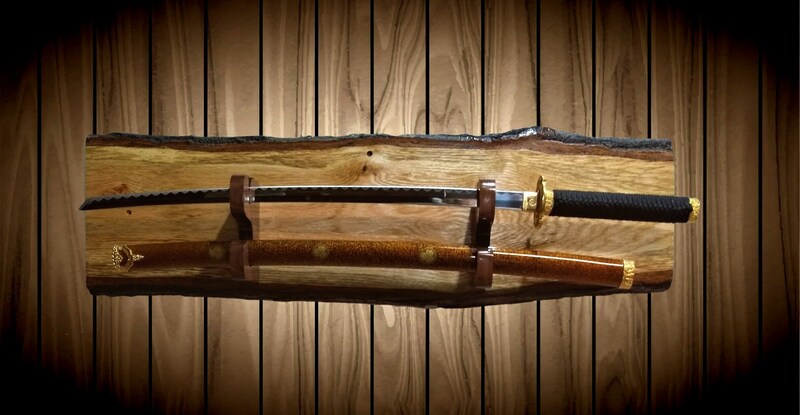 Great For Military Sabers or Samurai Katana . 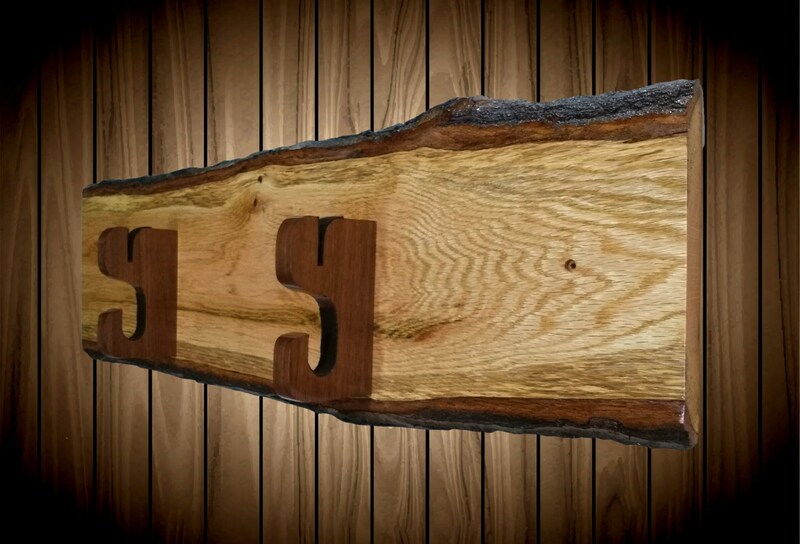 All Natural Live Edge Oak w/ Bark All Encased In Three Coats Of Polyurethane. Many Possibilities With This One Of A Kind Item. Ships in One to Two Business Days! 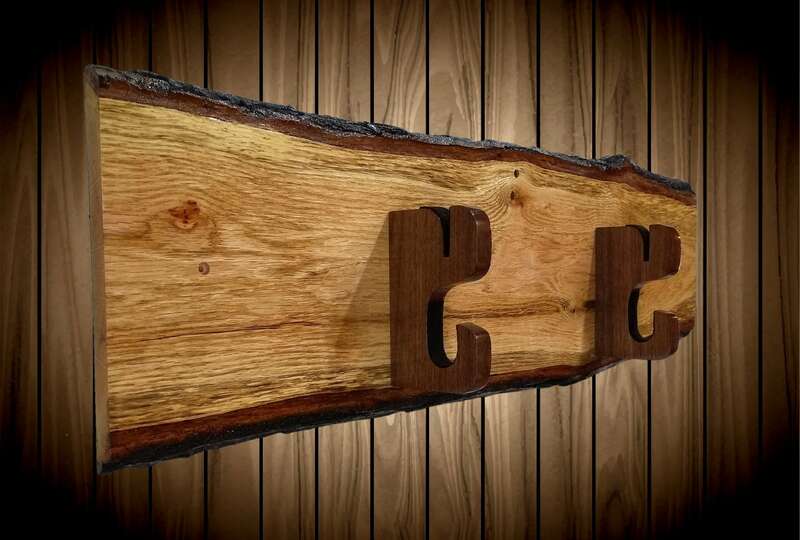 Custom Cut, Solid Walnut Sword Hangers w/ Black Felt. 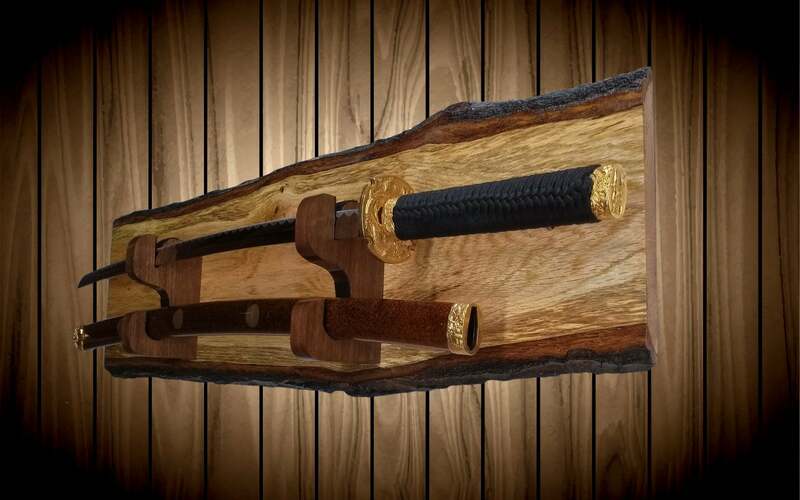 Top For Blade Only, Bottom For Sheath or Another Sword, Felted. Hangers Ship Loose and Ready for Reassembly. 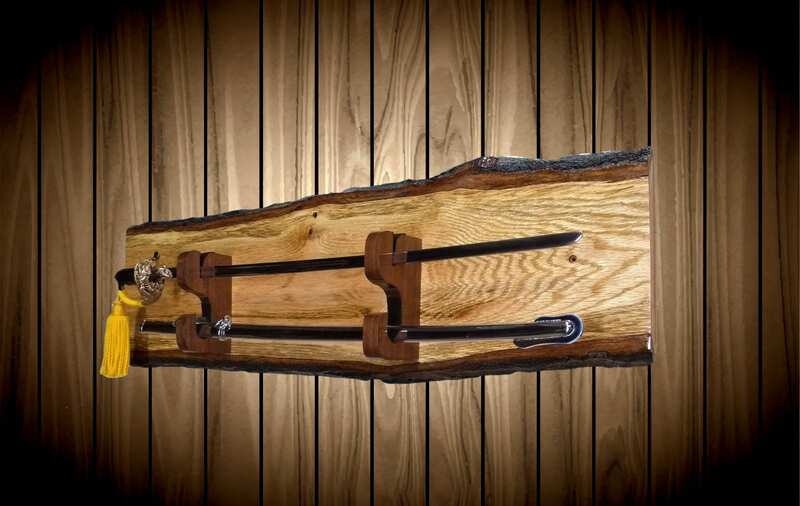 Comes With Wall Mounting Hardware.